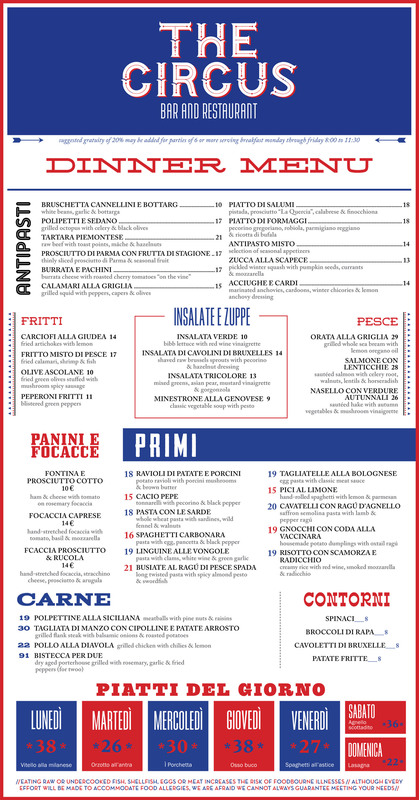 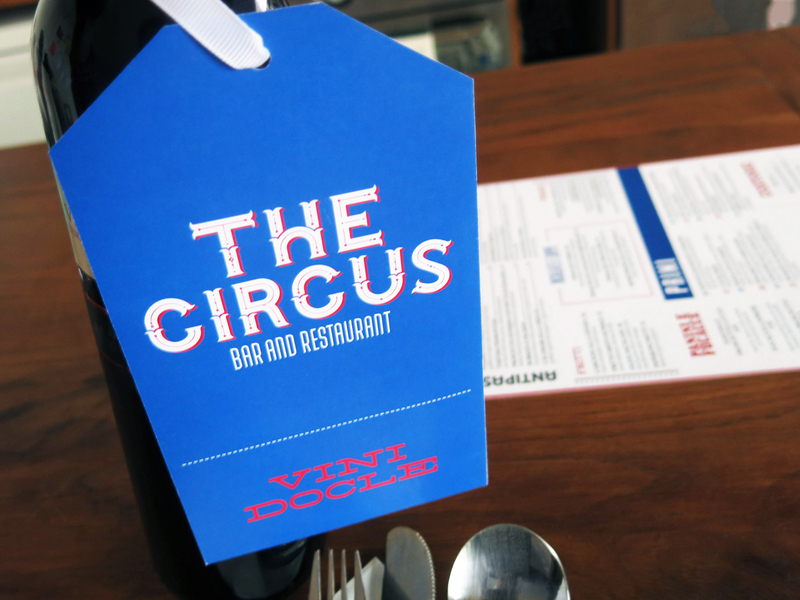 The Circus is the name of my imagined restaurant for which I created wine list, main menu and dessert selection. 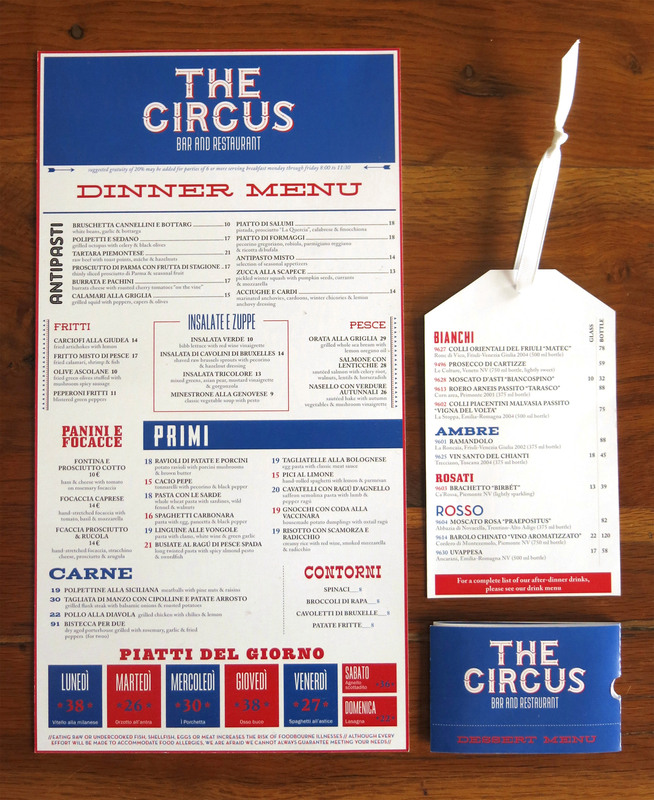 I used a combination of around 15 different typefaces to create something crazy as the circus itslelf. 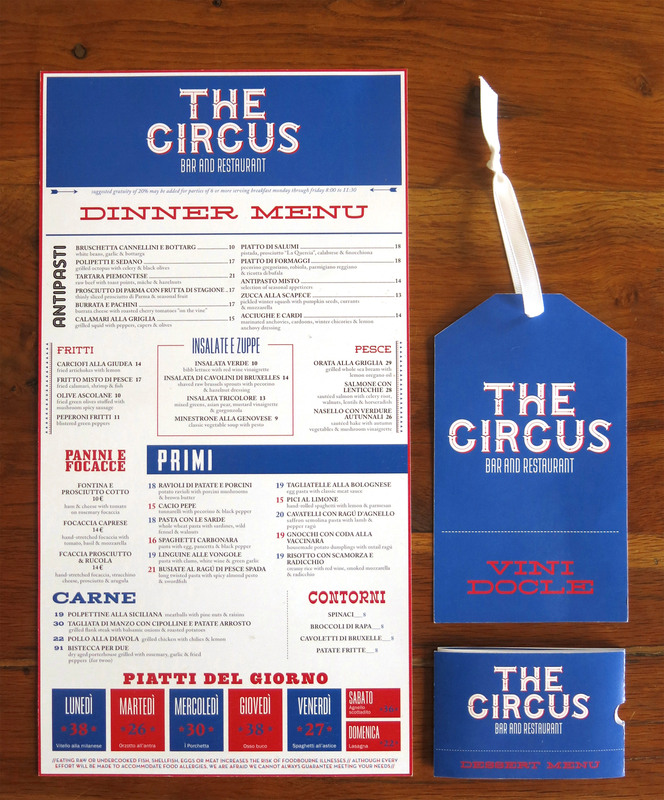 This wild use of typfaces creates something eccentric and completety in the circus theme. 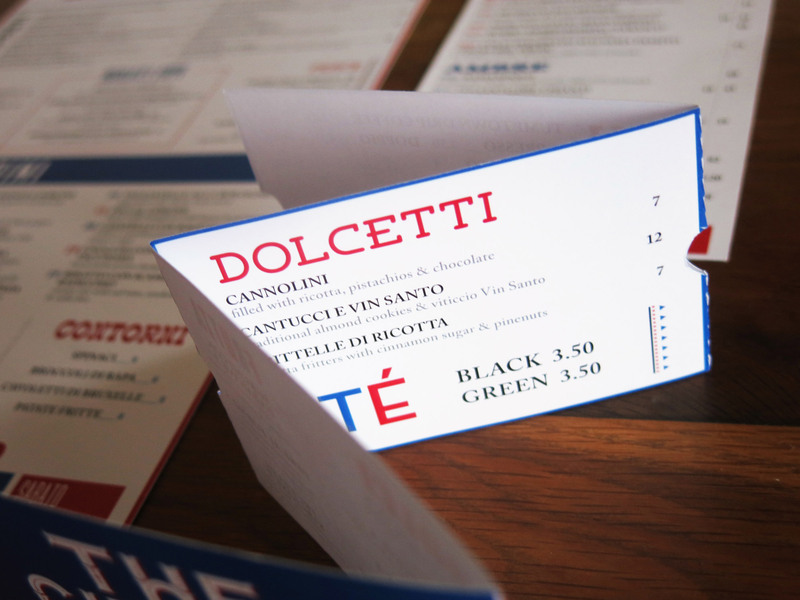 The wine list is to hang around the wine bottle on the table and the dessert menu is a range of cinema tickets. 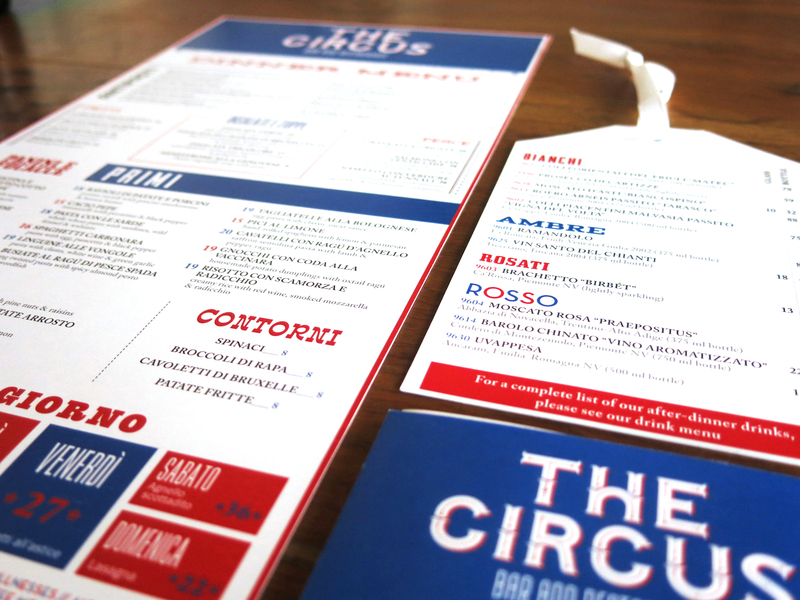 Using white, blue and red to remember that the first circus was held in France.